This book presents the conceptual framework underlying the atomistic theory of matter, emphasizing those aspects that relate to current flow. This includes some of the most advanced concepts of non-equilibrium quantum statistical mechanics. No prior acquaintance with quantum mechanics is assumed. 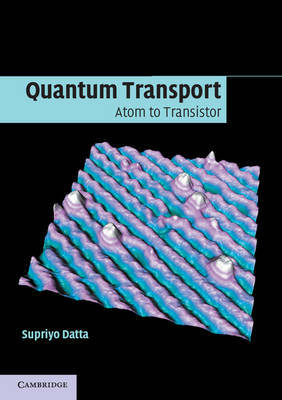 Chapter 1 provides a description of quantum transport in elementary terms accessible to a beginner. The book then works its way from hydrogen to nanostructures, with extensive coverage of current flow. The final chapter summarizes the equations for quantum transport with illustrative examples showing how conductors evolve from the atomic to the ohmic regime as they get larger. Many numerical examples are used to provide concrete illustrations and the corresponding Matlab codes can be downloaded from the web. Videostreamed lectures, keyed to specific sections of the book, are also available through the web. This book is primarily aimed at senior and graduate students.